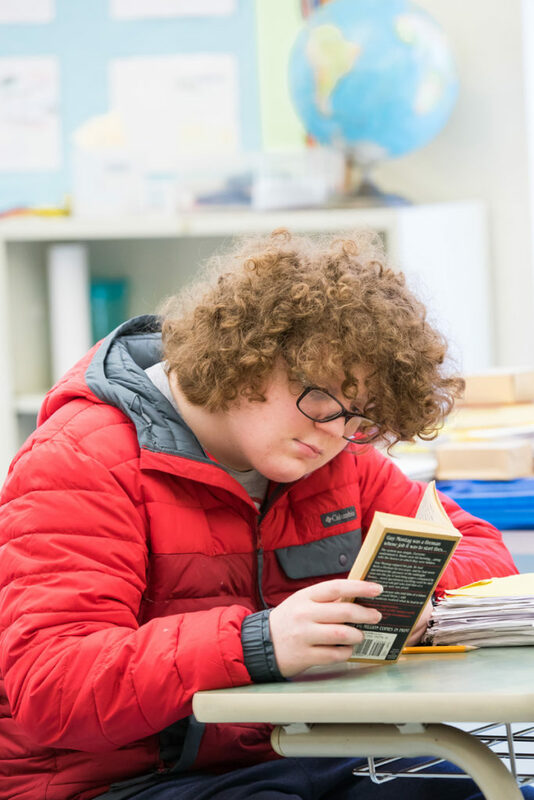 League School offers students a wide array of Support Services designed to meet the individual needs of each student. The speech-language pathology (SLP) department at League School focuses on developing social communication skills under the frameworks of the SCERTS Model. Goals are prioritized based on the current abilities of the students, with the overall goal of helping students become efficient and effective communicators. The department supports the classroom staff in providing programming that is meaningful and relevant for each individual student. 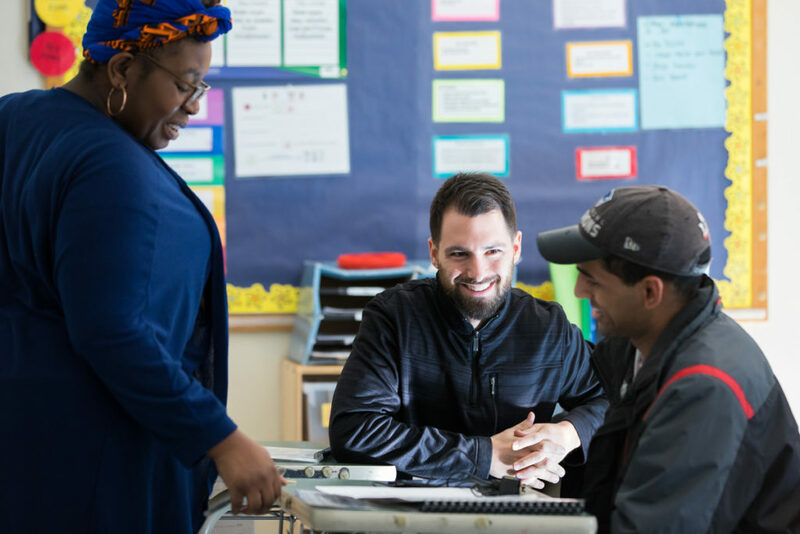 League School utilizes a ‘push-in” service delivery model to teach language and social communication skills within students’ natural context and routines. Ongoing consultation with classroom staff allows for opportunities for these skills to be targeted across the school day. These services allow the speech-language pathologists to be flexible in addressing the changing needs of the students throughout the year. Social skills are taught in the context of social interactions with various partners, including staff members, peers, job coaches, vocational supervisors, and community workers. The SLP department develops and implements visuals as learning supports to outline expectations and structure the students’ school day. The department also plays a role in the implementation and monitoring of augmentative and alternative communication (AAC) strategies to support expressive communication. AAC strategies range from no-technology options (e.g., paper-based text or picture supports) to high-technology options (e.g., dedicated speech-generating devices). Occupational therapists and a Certified Occupational Therapy Assistant (COTA) provide supports that help students participate in actions they want and need to do through the therapeutic use of everyday activities, or occupations. This is accomplished using a variety of treatment modalities, accommodations, and equipment. Services are delivered through consultation with the educational team and direct service using a “push-in” model to promote independence across settings. Occupational therapy is a science-driven profession that applies evidence-based practices to service delivery in order to maximize intervention outcomes. Pulling from various theory bases, occupational therapists introduce, maintain, and improve meaningful skills necessary for greater independence across not only the school day, but the lifespan. Occupational therapy embeds itself in all aspects of the student’s day by addressing self-care skills, sensory processing, emotional regulation, fine and gross motor skills, play skills, community engagement, and vocational training. 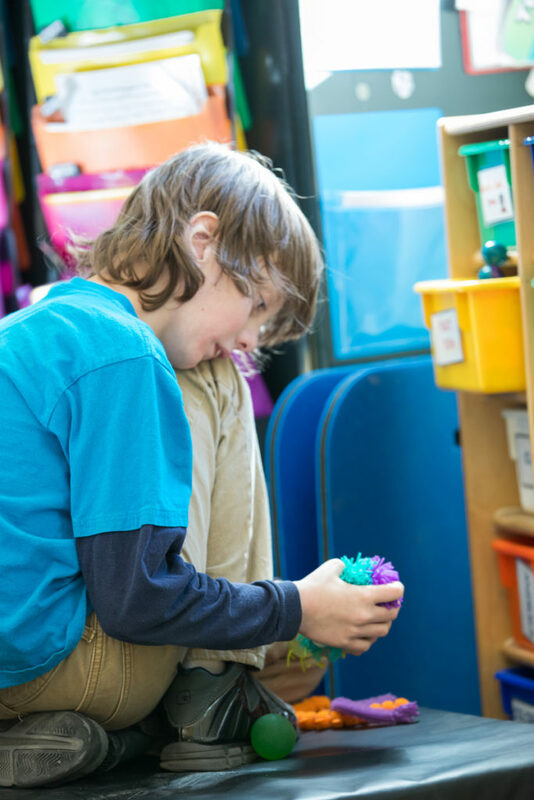 Occupational therapists at League School can be found assisting students in the classroom, the sensory gym, the independent living center, on community outings, and on job sites. 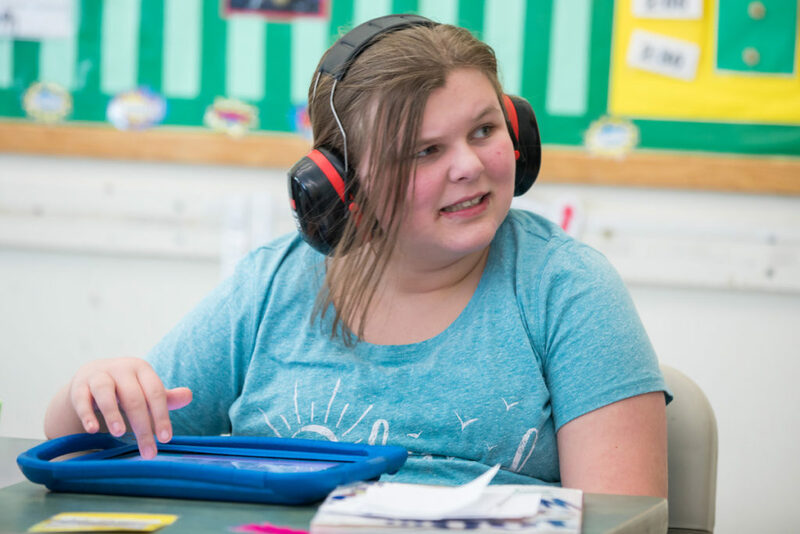 Individualized services are designed based on the given needs of the student and are supported by all members of the educational team across all settings. Physical therapy is provided through a contracted physical therapist for those students who have physical therapy on their IEP or who have a doctor’s order to receive physical therapy. Physical therapy is not included in the League School tuition rate. School districts must contract separately with League School for these services. The Behavior Team at the League School includes three Board Certified Behavior Analysts (BCBAs) and four Behavior Staff. Each BCBA is assigned to a program within the school. The goal of the BCBA is to work with each classroom team to identify, assess, and program for any students who display behavior that is dangerous to themselves or others. Assessments can include preference assessments, functional behavior assessments, functional analysis, and many more. Using the evidence-based principles of Applied Behavior Analysis (ABA), the BCBA writes a Behavior Support Plan in collaboration with the other specialties (e.g., occupational therapists, speech-language therapist, clinicians, etc.) at League School to help support teachers and staff to appropriately respond proactively to prevent target behaviors or how to intervene when target behaviors occur. The BCBAs are responsible for training all appropriate staff on each behavior plan and any data collection required to track and assess target behaviors and the programs in place. The Behavior staff are individuals with experience in responding to target behaviors throughout the programs and also assist with the training of staff on Behavior Support Plans and data collection. League School’s Clinicians, who are currently all licensed social workers, work closely with other specialists, teachers, outside providers, and parents/guardians to help support students and their families in all areas of growth. A range of services that our clinicians provide include: individual and group counseling with a focus on helping students regulate and understand their emotions by identifying how they are feeling, utilizing coping strategies when starting to become dysregulated, working on social pragmatic skills to help build healthy relationships with others, and helping students advocate their wants and needs in an appropriate and effective manner. Other support services include: working directly with students in and out of the classroom, co-facilitating social skill groups, and offering guidance and assistance with identifying community supports for students and their families (such as recreational and community support services, educational advocacy, transition planning and adult support, Mass Health services such as in-home support services, mental health services, and crisis/grief support services). Overall, the clinician’s goal is to provide every student with the opportunity to develop to his or her maximum potential. The Nursing Department is staffed by two full-time Registered nurses. One nurse is assigned to the day school, the other provides medical care to the Residential Programs. They are supervised by the Coordinator of Clinical and Family Services and the Medical Director who provide consultation. The nurses implement and manage a comprehensive school/residential health program consistent with Massachusetts guidelines, DESE regulations, DEEC regulations and DPH regulations. They participate in the establishment, review, and implementation of school health services policies and procedures. 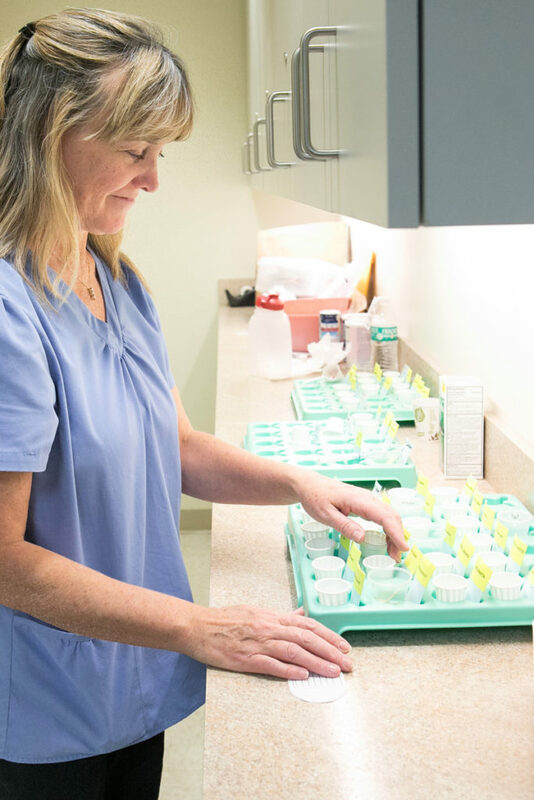 The Nursing Department provides medically prescribed interventions to all students, including medication administration and provides emergency care for students in case of injury or illness. They provide and coordinate all in-service trainings for both school and residential staff in CPR, First Aid, Medication Administration seizure protocols, and current health issues. The nurses are in daily contact with parents, physicians, and other health care providers in order to provide the most updated information. The Nursing Department also provides medical emergency coverage 24/7 for consultation or emergency response.